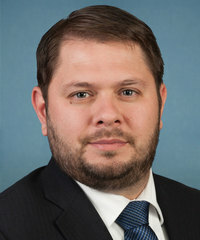 Ruben Gallego has served in the US House of Representatives since 2015, representing Arizona’s 7th congressional district. He previously served in the Arizona House of Representatives from 2011 until 2014. Gallego supports permanent reauthorization of the Land and Water Conservation Fund, sage grouse conservation, and efforts to reduce methane emissions. He opposes the Trump Administration’s rollback of national monuments, as well as efforts to transfer public lands to state control. Rep. Gallego opposes the Trump administration’s rollback of national monuments. Gallego supports permanent reauthorization of the Land and Water Conservation Fund (LWCF). Gallego opposes transferring public lands to state control. Gallego supports sage grouse conservation. Gallego supports reducing methane emissions.